We like to keep our consultations stress-free. we want to make sure that we get your landscape right. After an initial phone conversation discussing the space and the intent, our talented designer – Pete – will arrange a time to meet and check out the property. What follows is an ecosystem analysis. 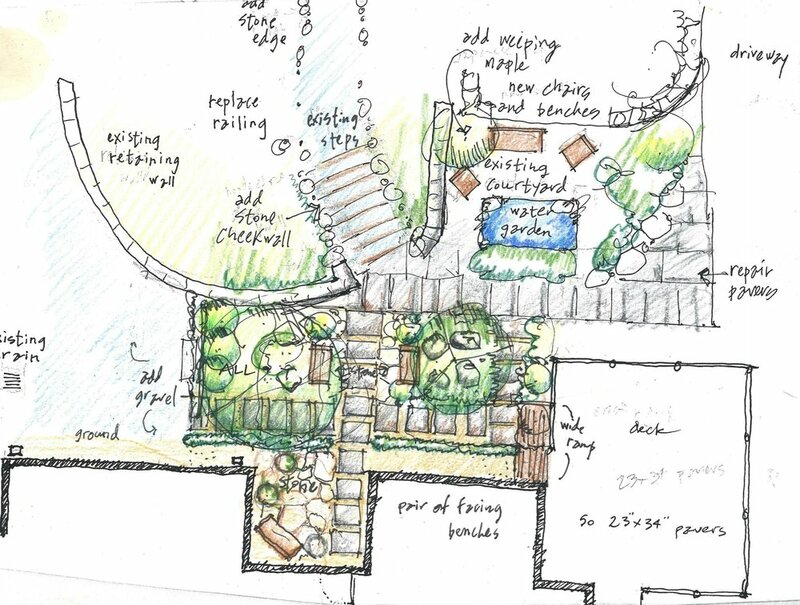 Birdsong Garden Design notes the existing conditions, sun and drainage patterns, soil types, biological needs of surroundings, property boundaries, and other key components. Following a walk-around and discussion, Pete will sketch out a preliminary design – first impressions of the existing surroundings and proposed ideas for additive plants, water, stone, and other attributes, in correspondence to your landscape intentions. After a series of consultations, adapting the design each time to fit the space even more uniquely, the final all-encompassing landscape design will be presented. Additionally, the completed design will come with a suggestive phasing plan dependent on the size of the project. Implementation can begin.